Super Jaguar Matte Black Need Help? The Jaguar is offered here in classic black paired with metal detailing on the arms and front to give it a nostalgic old school elegance, but make no mistake the design is undoubtedly original. From the dark, grim, melancholic depths of the Metropolis, the Matte Black series has emerged. Sure to become a favorite, Super has expanded their Matte Black offerings to several of their core shapes --- offered here on their Jaguar model. 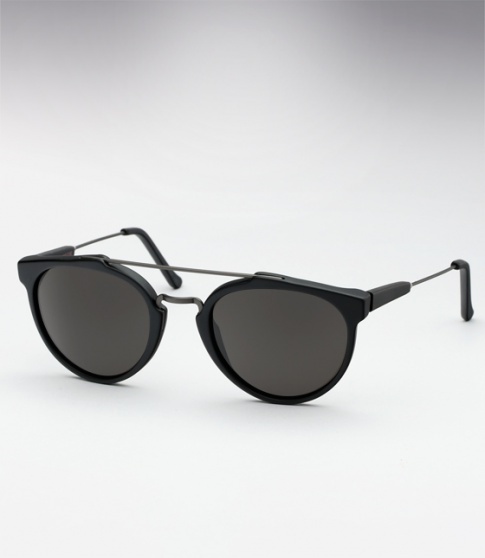 Matte Black acetate paired with dark Zeiss Lenses completes an understated style that proves sometimes less is more.